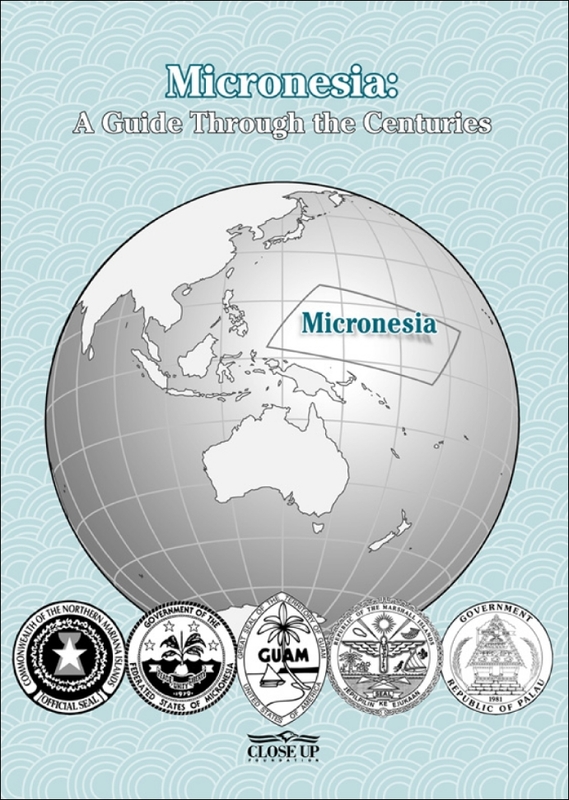 The Close Up Foundation published a series of five civics textbooks for students in Micronesia: The Civic Achievement Award Program. I produced test editions and final editions for the series, and a final compilation volume as well. 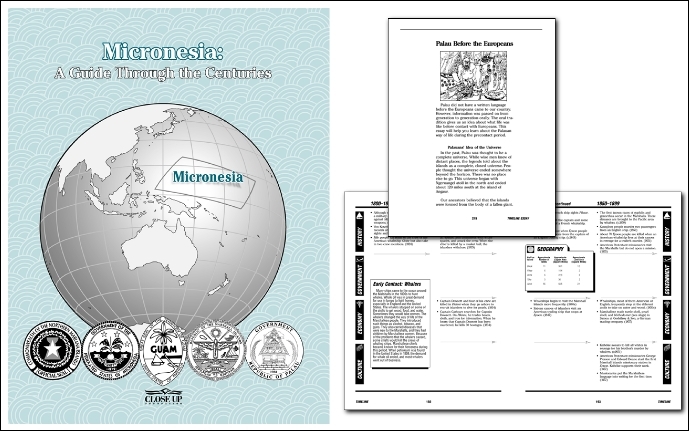 That's also my world globe illustration, begun with clip art, naturally, but with the area for Micronesia and shadow and 3D glows added.